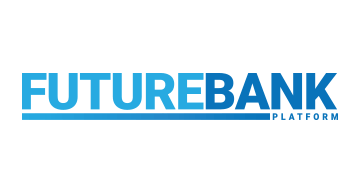 FutureBank is a secure and customizable Digital Banking solution with an Open MicroServices API that integrates with the most popular Core Banking systems in the world. FutureBank’s Open Banking Platform helps banks quickly and cost effectively meet the demands of the market and the regulators in a secure and customizable way. Our platform uses unique asymmetrically encrypted HSM tokens to secure each transaction through the platform. FutureBank exposes a customizable event driven SDK architecture for easy integration into 3rd Parties, Merchants and Individuals. We provide engaging and beautiful fronts ends that are customizable across all Mobile and Internet channels, including wearables and voice interfaces. We help Banks and Credit Unions leverage off the disruption quickly and efficiently in a compliant and secure manner.